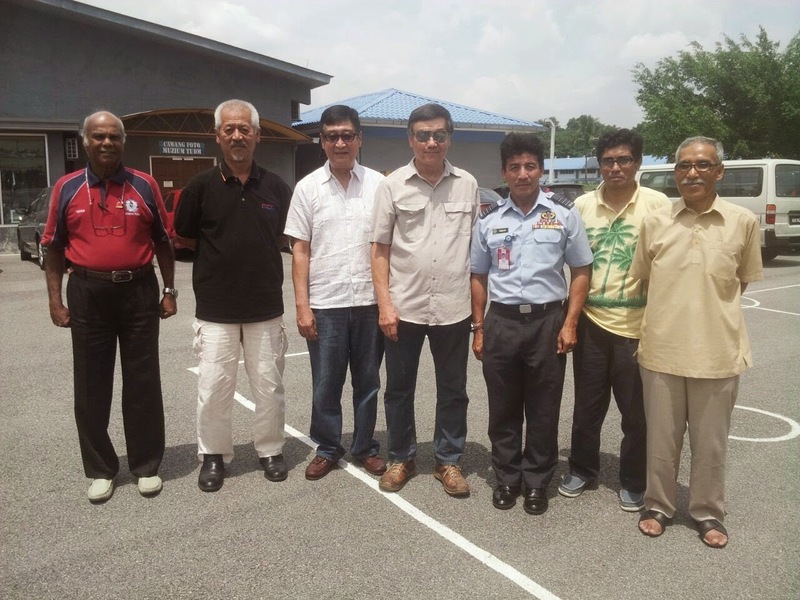 6-10 September 2014, there was an "Open Interview" for xNuri crews held at RMAF museum, Kuala Lumpur. Mind you, it wasn't a job application. You see, a production house is making a documentary film on the "old by faithful iron bird, the Nuri". So those appreciative people invited xNuri crews to tell our experiences. There was no formal invitation, only through WhatsApp, facebook and messages. Of course, I wouldn't want to miss this once in a lifetime opportunity. Furthermore, it was a reunion of sort. I met quite a number of colleagues whom I haven't met for quite sometimes, including Dato' Fauzi, Dato' Nawi, Dato' Goh S.T., Maj Peter Wong, Maj Musa, WO Thesigan, WO Mohsain, and WO Salehuddin. Musa was kind enough to give me his flying experiences' notes for my research. And on my part, I would like to share one of his interesting stories. Aircraft was returning to Sandakan Airport after a second sortie load of rations for the troops of 1 RAMD on Pulau Jambongan, flying at 3,000 feet. At exactly overhead the village of Terusan Sugut on the east coast of the State of Sabah, my nose picked a sweet aroma. I made it known to the Captain who instructed the AQM to have a visual look for any sign of liquid flowing on the aircraft window. The AQM reported positive sight of 'red' coloured fluid flowing down the first window on the post side of the aircraft. It was hydraulic fluid. The Captain ordered me to carry out 'landing checks' and to make a 'pan call' and told me that we were having a primary hydraulic failure. In the next few seconds, the 'primary hydraulic' failure warning light on the instrument panel had illuminated and the 'primary hydraulic'' gauge had the needle dropped to zero. 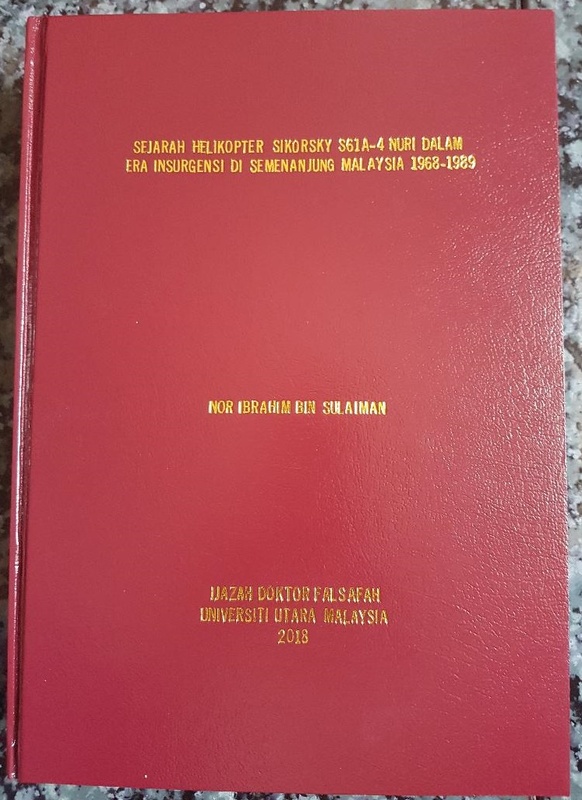 I had carried out the orders of the Captain and that the Sandakan Airport control tower had acknowledged my 'pan ' call by saying 'your pan call copied, call again airborne'. I thought it was quite a joke, so did the Captain. The Captain executed a normal landing for the landing gears were down and locked in time before the aircraft lost total pressure of the primary hydraulics. It was a small grass field about 50 metres in front the village of Trusan Sugut Police Station. The time was about 1215 hrs. It was just luck that Cpl Naidu decided to come along on this flight, 'cos he was an Airframe Tech. After an inspection of the system, he confirmed that we had a primary hydraulic pump seal leak. None of the villagers came out to meet us on landing, NOT even a policeman. It was well after 1400 hrs before the first local person came to greet us and it was one of the policemen who came from Melaka. He offered us shelter at the Police Station and with the use of the Police Radio, the Captain managed to pass a message to RMAF Labuan of the snag and asked for recovery and spare part replacement. The Nuri base was RMAF Kuching and it might take days before the spare part would reach us. Later in the afternoon, we were met by more policemen from the Station. They had all gone to do their patrols during the day and had come back by 1800 hrs. There were only 9 policemen at the Station and the OCS was a Corporal, a Sabahan.